Following is an adaptation of Dr. Jiří Moskala’s presentation to attendees at the 2017 LEAD Conference held May 30-June 4, 2017, in Slovenia, which presents his vision for strengthening Adventist education and the role pastors and churches have in accomplishing this goal. Many of our pastors did not have an opportunity to go through the excellent Adventist system of education. They either converted later in life or if they grew up in an Adventist family, their parents for some reason decided not to send them to our schools. Thus, they have not had an Adventist educational experience.2 This fact may contribute to their feeling or even conviction that Adventist schools are not crucial for educating our children and youth. Pastoral effectiveness is usually evaluated by the number of baptisms, financial growth (tithes and offerings), and preaching, but not so much by items related to our schools: their commitment to the success of the local school, being present and advising students, encouraging, playing with its children and young adults, teaching Bible classes, leading worship, participating in school board meetings, etc. Many pastors and members have a limited understanding of the symbiotic relationship that should exist between churches and church schools. Conventional thinking suggests that the Adventist school operates under the supervision of the local church—whether a single church or a constituency of churches (and rightly so); therefore, in the minds of many, the church decides what will happen there. Further, when people speak about the relationship between the school and the church, the center of such symbiosis is the church. Rarely is the center of activity considered to be the school. However, while the church is open only for several hours during the week, the school operates almost all the time. Activities held by either church or school should be mutually beneficial. It is essential for church members and church administrators to understand that working together with school administrators and teachers can help the Adventist school and church achieve maximum impact in the community, reaching those who might not readily step into a church. For example, while secular people might be biased against a church, these same individuals might be more open toward an educational institution. In addition, it could be that a pastor and the church board (and many members) may perceive the school as a financial burden (a school is not an industry for producing money), a time-consuming enterprise, and the business of others, namely the school principal and his or her team of teachers and staff. They may think that the school board is a subsidiary of the church board. Most importantly, in terms of pastoral involvement, I realized, to my amazement, that there was no class offered in the seminary for pastors regarding the importance of Adventist education and how to facilitate collaboration between the church and the school. So we were part of the problem, but beginning with fall semester 2017, we were able to rectify this situation in cooperation with the North American Division Office of Education. We need to break through negative stereotypes. Fresh thinking and a new practice model are needed and can bring tremendous results. We all agree that the school, church, and home need to closely collaborate in order for the system to work. 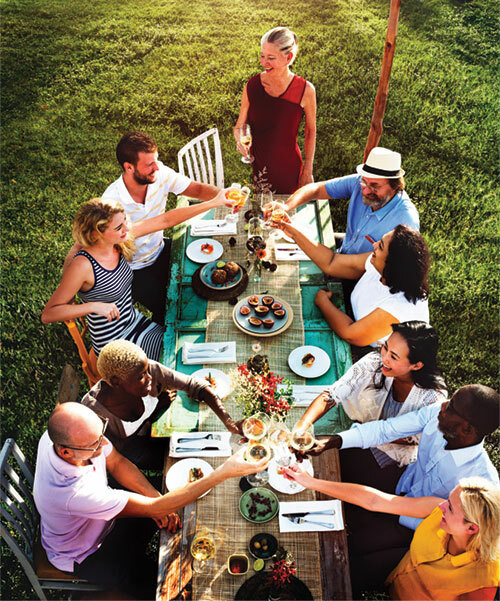 Without this close connectedness and a sense of togetherness, nothing will change, grow, or advance. 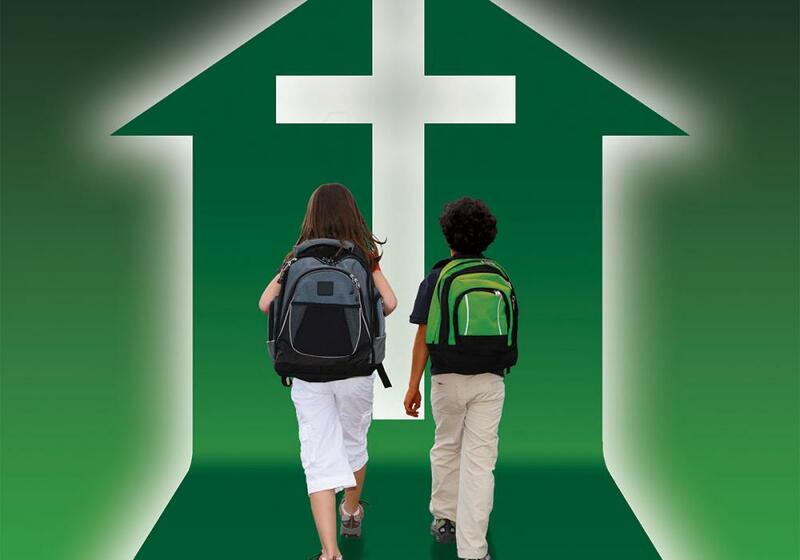 The Valuegenesis research regarding Adventist education showed that collaboration between homes, churches, and schools increases the possibility of children and young adults both growing in faith and being committed to the Seventh-day Adventist message, lifestyle, mission, and Church.3 The longer one is enrolled in Adventist education, the more loyal and mature one’s faith generally becomes. The symbiosis of schools and churches invites people to engage in different interactions, activities, and develop meaningful friendships. When people play, laugh, or study together, lasting relationships are formed. The Seventh-day Adventist Theological Seminary at Andrews University wants to be a center for this innovative approach to education. It is our desire to lead in the best educational practices for ministers. This proposal has the potential to revive Adventist education as well as renew a close and fruitful cooperation between the school, the home, and the church because it will enable young men and women to grow up with a deep appreciation for Adventist identity and lifestyle. They will learn to know and enjoy what it is to be Adventist. This will help stem the tide of the tragic loss of youth from the church (in excess of 60 percent)4; it will facilitate the development of a new era of young Adventist leadership within the church as the result of increased school and church partnerships; and schools will become powerful magnets to draw unchurched families to God through the Adventist school into the church. In the seminary, we have created a required course, DSRE 615 Collaborative Ministry5 for all MDiv students (pastors) in which the beauty and importance of the Adventist philosophy of education will be taught. In close collaboration with the North American Division Office of Education, we have developed a meaningful, interactive, and relevant course to equip our pastors with the best skills for creating this new approach to our educational system. Collaboration continues with the South Pacific Division and the South American Division, and will be expanded to include other divisions as the initiative grows. We would like to change the pattern of thinking about the Adventist educational system. Instead of having the church be the center of action, we think that pastors should make the school the location where different outreach activities take place in order to connect with the local community. It should be an evangelistic center functioning as a community magnet. Since the school is open with multiple interactions taking place during much of the year, this will result in promoting Adventist education both within the church and in the community at large. The community will generally be open to Adventist schools because they provide a safe and healthy environment and excellent, high-quality education. This means that the community typically will not have biases and prejudices toward our schools, and we need to take advantage of this fact. So the school should be the center of community life and receive strong support from the local church(es). The school should be an open community―friendly and inviting―which will make it a center for community life through the children and their parents. Consequently, the school should be a center for evangelism (understood in a broader way than just holding evangelistic campaigns there). For me, every activity and everything done in such a center is evangelism. Besides being an educational center for children and/or young adults, schools can hold evening classes and a variety of different activities for the community. The school can be a place for people with different interests to meet and interact, learn, and engage in social activities. It can be a location where sporting events are organized, language classes are offered, an immigrant center is established, feeding programs for the poor and elderly are developed, health programs are held, cooking classes are offered, etc. Our schools can be powerful evangelistic centers that build bridges in the community between different religious groups. Within these educational centers, a variety of clubs, such as traveling or reading clubs, welfare outreach, lifelong learning programs, agricultural programs, Bible study centers, anti-stress and anti-addiction centers could be offered; and maybe even a bakery and/or cafeteria for the community could be built. We need to be creative in offering relevant programs to build strong community ties. For everyone―but especially for young people―friendship is evangelism. Our schools should be safe places for fellowship, friendship, and emotional healing. Smaller schools may wish to collaborate with other schools nearby or work closely with their local conference to source the individuals needed to support the plan. This type of living and learning community needs a worship center, creating an increasingly deep need for the church because an active community will be a worshiping community. Membership in the church will grow naturally as people become integrated into the school’s activities, and they will be attracted by the balanced Adventist lifestyle, which will lead them to be attracted to the beauty of the Adventist message and the living God. The Bible will thus be studied with enthusiasm and joy. A community of love attracts and transforms people. The early church lived, worked, served, and worshiped together, and this is why God added many to their community of faith (see Acts 2:42–47). The symbiosis of schools and churches invites people to engage in different interactions, activities, and develop meaningful friendships. When people play, laugh, or study together, lasting relationships are formed. Close collaboration between the pastor and the principal is needed, and we (the seminary) aspire to teach pastors how to develop healthy and meaningful relationships with school administrators. The school should not only be an education center, but also a church during the week. The new seminary class is very practical. Andrews University’s Department of Discipleship and Religious Education is leading in this important endeavor. Pastors should become the influencers within the church as they grasp this new concept and gradually implement these ideas in their church community. So we are giving our student-pastors field practicums. Under the leadership of their professor, they spend several days visiting various-size successful schools, in order to learn from observation what actually works in the field. They are being taught how to maintain and grow current schools and how to create new ones so education can be revitalized and flourish in many parts of our NAD territory and the world field. Our God is an awesome God, and He wants to care for children and young adults because He loves them. To do so, He needs dedicated, cheerful, and contagious people to build this wide community of faith, love, and hope. In this new course, we are also teaching pastors how to integrate into church life young adults who have recently graduated from Adventist and state colleges and universities. The transition between university and church is where we usually either keep or lose our young people. Transitioning to this model will result, I strongly believe, in strengthening the pastor’s own Adventist identity and lifestyle, and thereby helping him or her discover how to deliver our message in even more relevant ways through deepening close collaboration between the church, schools, and parents; and fostering a rich daily walk with God that will empower pastors to become influential magnets to draw secular families, immigrants, and the larger community to God. By having the school in close connection with the church, both will become an important part of community life. In this way, community will be built around children and families and expand to reach and fulfill the different needs of people who live in the vicinity, and who will become the church’s real neighbors. True Christianity is to love God above all from all our heart, mind, emotions and will, and our neighbors as we love ourselves, or better, as Jesus loves us (Luke 10:17; John 13:34, 35). 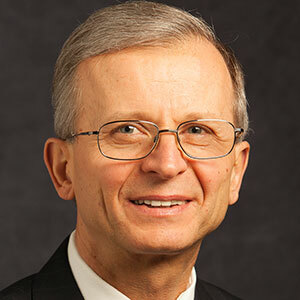 Jiří Moskala, ThD, PhD, is Dean of the Seventh-day Adventist Theological Seminary at Andrews University in Berrien Springs, Michigan, U.S.A., and Professor of Old Testament Exegesis and Theology at the same institution. He joined the faculty in 1999. Prior to his tenure at Andrews, Dr. Moskala served in various capacities (ordained pastor, administrator, teacher, and principal) in the Czech Republic. He is a member of several theological societies and has authored or edited a number of articles and books in the Czech and English languages. Jiří Moskala, “The Church School: Where Churches and Schools Collaborate in Mission,” The Journal of Adventist Education 80:2 (April-June 2018): 4-8. Personal correspondence from Larry Blackmer, vice president, North American Division, dated January 19, 2017. General Conference of Seventh-day Adventists, “Strategic Issues Emerging From Global Research, 2011-2013,” Reach the World: General Conference Strategic Plan 2015-2020: 7 (Item 2). Data from five major global studies beginning in 2011 show that “less than half of all Adventists worldwide have experienced any denominational education, and many pastors have limited Adventist education” (p. 7); Roger Dudley and Petr Činčala, “The Adventist Pastor: A World Survey.” A research study conducted by the Institute of Church Ministry at Andrews University’s Seventh-day Adventist Theological Seminary, May 2013: http://www.adventistresearch.org/sites/default/files/files/The%20Adventist%20Pastor%20A%20World%20Survey%20.pdf. See Roger L. Dudley, Valuegenesis: Faith in the Balance (La Sierra, Calif.: La Sierra University Press, 1992), and research by V. Bailey Gillespie in Valugenesis2 and Valuegenesis3 that followed. For a list of resources on the topic, search for “Valuegenesis” at http://circle.adventist.org/search/?search_query=%E2%80%9CValuegenesis%E2%80%9D. Globally, of the 40 percent of Seventh-day Adventist members leaving the church, surveys of former members show that more than 60 percent are young adults, globally. See David Trim, “Data on Youth Retention, Non-retention, and Connectedness to the Church” presented at Annual Council 2016: https://bit.ly/2HZoRCV; See also “Leaving the Church,” a final report presented by the Office of Archives, Statistics, and Research (April 2014): https://bit.ly/2wkUGk4. See Andrews University 2017–2018 Bulletin, vol. 106, 648. Online: https://bulletin.andrews.edu/search_advanced.php?cur_cat_oid=16&search_database=Search&search_db=Search&cpage=1&ecpage=1&ppage=1&spage=1&tpage=1&location=33&filter%5Bkeyword%5D=DSRE+615. __________, True Education (Nampa, Idaho: Pacific Press, 2000), 11. _________, God’s Amazing Grace (Washington, D.C.: Review and Herald, 1973), 178. _________, The Ministry of Healing (Mountain View, Calif.: Pacific Press, 1905), 460. In small schools, various people from the community (e.g., police and fire departments, hospitals, clinics, businesses, etc.) may be invited to share their experiences, expertise, and skills not only with the students, but also in activities to which the community is invited.